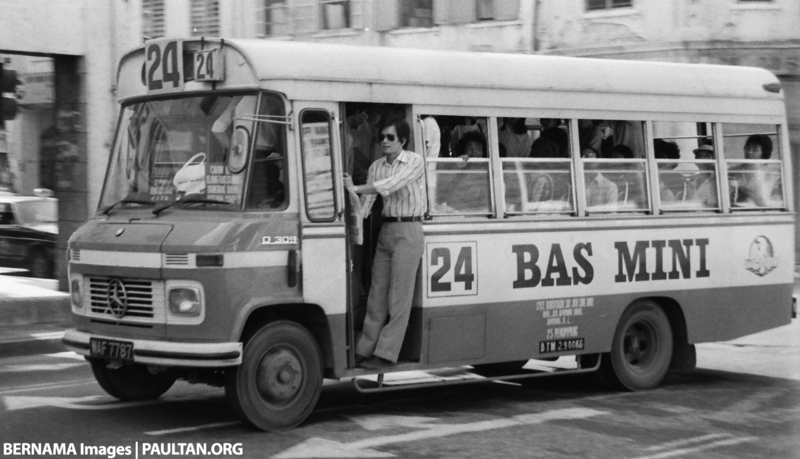 Long before most netizens and majority of the current workforce were born, DAP’s Emperor Lim Kit Siang complained on 1st September 1977 about the lack of public transport and increase in fares by now-defunct well-known bus company, Sri Jaya. 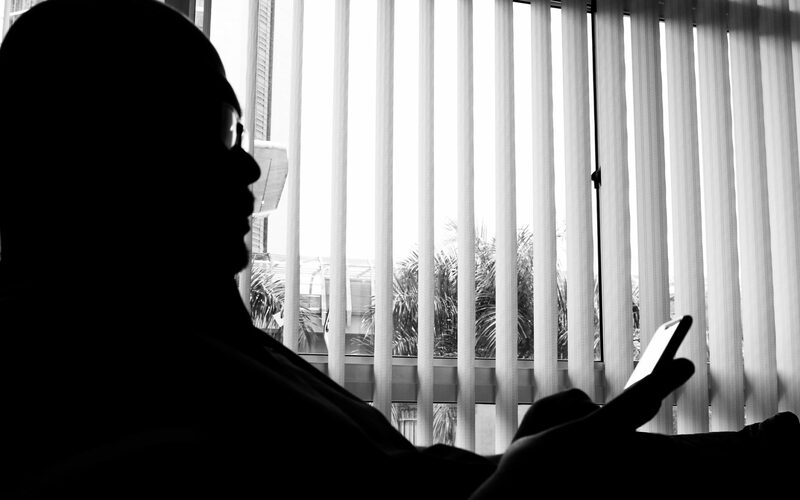 Four days later, he called for the resignation of both Ganie Gilong of Sabah who was the Transport Minister, and Dr Goh Cheng Teik who was the Deputy Transport Minister to resign. Political and monetary instabilities as a result of the international monetary crises in the early 1970s and the oil crisis in late 1973 contributed to the worldwide recession, stagflation and very slow recovery. Consumer Price Index (1967 = 100) jumped by 10.5 percent in 1973 and 17.4 percent the following year. In 1977 it was down to 4.7 percent, the lowest since 1973, and the CPI figure never went down further until 1984. 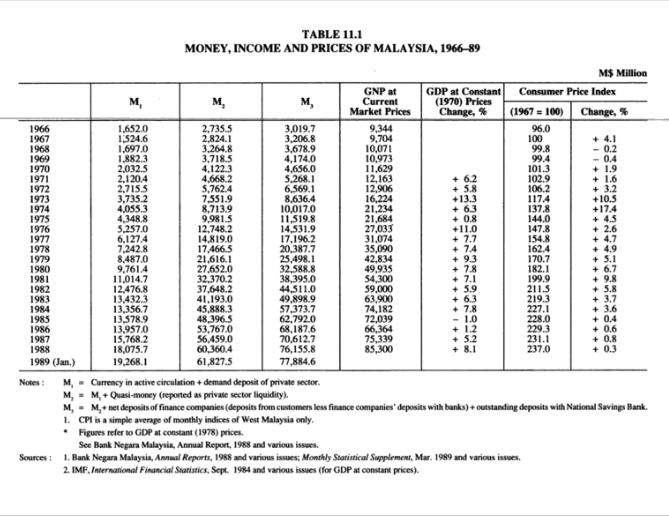 It was a time when Malaysians could hardly afford anything. 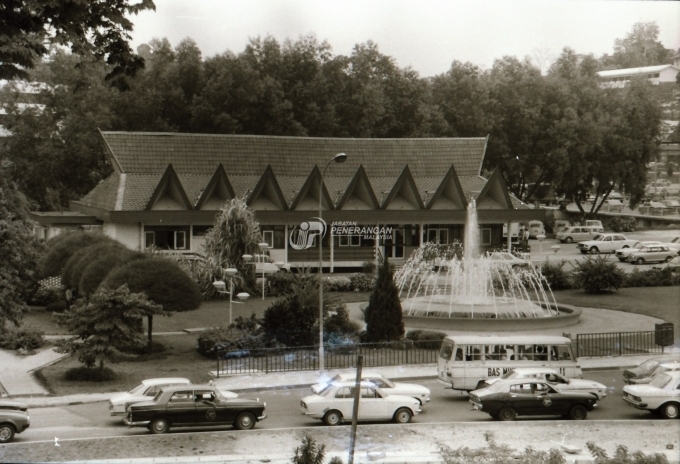 In order to assist the rakyat, Tun Abdul Razak set up the Restoran Rakyat in August 1973. It was where a nasi lemak breakfast would cost only 20 sen and a simple lunch of rice, fish curry and vegetables would cost only 80 sen. Of course, 20 sen those days is like RM2.00 of today but any balanced meal today that costs less than RM10.00 per plate is greatly welcomed. Also introduced by Tun Razak was the BMW – Bas Mini Wilayah, in September 1975. The fare to any destination was 40 sen then and was only increased to 50 sen in 1991 and 60 sen two years later. The BMW services were discontinued in July 1998 when it was replaced by Intrakota and subsequently RapidKL in 2005. Today, as a result of a great foresight by the current government, land public transport and infrastructure have improved in leaps and bounds. 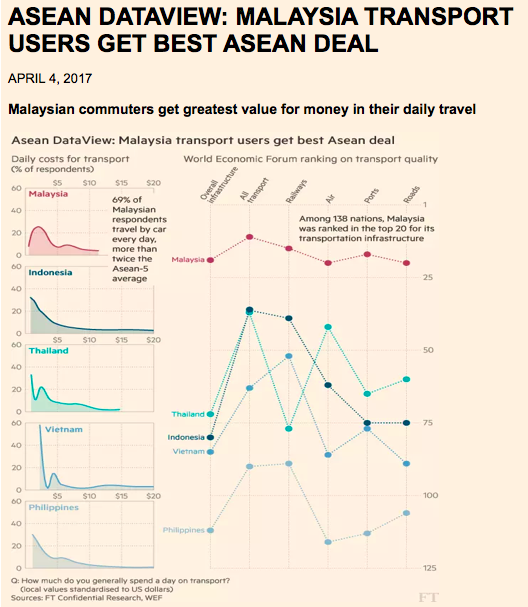 According to a research report published on the 4th April 2017 by the Financial Times, Malaysia’s transport users get the best deals in ASEAN. The graph shows that Malaysian commuters spend about USD12 per day on commuting as opposed to Indonesia, Vietnam and the Philippines where commuting could cost up to USD20 per day, the only exception being Thailand where it could get to USD15 per day. Malaysia is also ranked in the Top 20 from 138 nations in terms of transportation infrastructure, according to the World Economic Forum. Malaysian spending on transportation rose to 0.7 percent of the GDP in 2016 compared to 2015, and the Financial Times research report attributes this to Prime Minister Najib Razak who continues to make infrastructure a key priority. While the completion of the MRT SBK (Sungai Buloh-Kajang) Line 1 targetted for July 2017 and the construction of the MRT SSP (Sungai Buloh-Putrajaya) Line 2 and LRT 3 now taking place, urban and suburban dwellers in the Klang Valley can expect a much economical and more integrated mode of getting around, while feeder services such as the ETS, KTM Komuter, and the soon-to-be-expected HSR and double-tracking projects will allow growth in other areas and allow for cross-country commuting to and from work. Projects like the ECRL and the Pan-Borneo highway will provide for the growth and availability of jobs not only in the urban areas but also in greenfields as well as pockets of rural towns where meaningful economic activities have thus far eluded. With a projected population of 32.5 million by 2030, elaborate and efficient land public transport systems must be in place to ensure efficient mobility within and between spatial conurbations across Malaysia while the introduced National Land Public Transport Master Plan (NLPTMP) will ensure continual improvements and additions are made to the land public transport systems. Malaysians should be thankful that plans have been made to improve transportation infrastructure instead of constantly complaining.